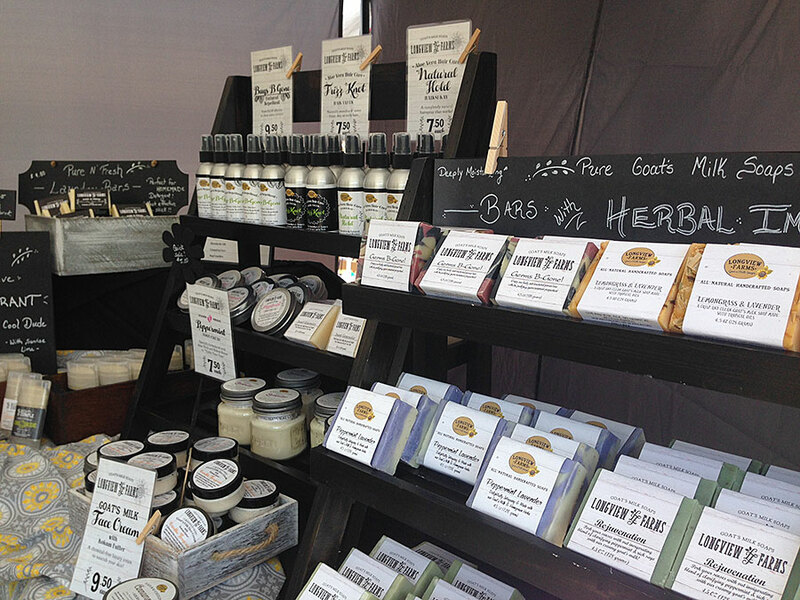 You might wonder why we have chosen to capitalize on including goat milk in our natural handcrafted soap bars. Does it really make that much difference in the final bars of soap? Does it merely make our soap “sound special” or does it truly contribute to the goodness of our soap? Here is our secret: we use goat milk in our bars because it makes soap that is incredible for our skin! Goat’s Milk has long been renowned for its beneficial qualities in cosmetics and therapeutic treatments in different cultures from ancient times until today. Our goal is to create all-natural soap that is mild, gentle, soothing to all skin types and leaves your skin healthier than before –And goat’s milk enables us to achieve this goal! Goat milk soaps are often recommended for those with eczema and our bars have proven the test! 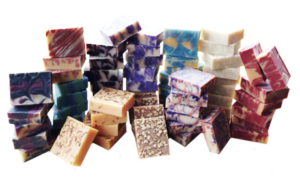 We have had customers overjoyed at the healing and restorative properties of our soaps. Raw, whole goat milk is a virtual storehouse of nutrients that enrich and pamper all skin types! Goat milk is rejuvenating, anti-inflammatory, and moisturizing. It contains over fifty nutrients including the vitamins A, B1, B2 (riboflavin), B6, B12, C, D, E, and K, niacin, zinc, and calcium, as well as minerals, amino acids, citric acid, unsaturated fatty acid, proteins, various enzymes and many other nutrients. Goat’s milk is easily absorbed by the skin delivering the A, B & C vitamins, as well as calcium, directly to the skin, making it a natural anti-inflammatory which soothes acne, eczema, psoriasis, and rashes. Soap made from goat’s milk is also naturally rich in restorative proteins, making it a favorite for re-hydrating and softening complexions. Goat’s milk plays an important part in skin-care. Working through our soaps, goat’s milk gently cleanses your skin without stripping and drying it, moisturizes, soothes, and plumps your skin, and soothes sensitive or allergenic skin conditions. There are many aspects to keeping healthy, vibrant, smooth skin. Your skin not only needs to be moisturized, it needs to be exfoliated – the dead skin cells broken down and removed- it needs protection against harmful bacteria, and it needs good, healthy nourishment and rejuvenation. LESS WRINKLES?? Two constituents in goat milk, alpha-hydroxy acid and caprylic acid, both play a crucial role in rejuvenating your skin, adding vital elements of skin-care to our soap. For instance, over time your skin loses its ability to get rid of old cells fast enough. Therefore this outermost skin layer thickens, which reduces your skin’s elasticity and fresh look. Here’s where the alpha-hydoxy acids come into play, breaking down the glue holding your dead skin cells together, and thereby providing the way for your skin to easily shed those unwanted, dead layers. This results in less wrinkles and age spots, less acne, and less dry skin. Alpha-hydroxy acids also help to plump the skin and smooth fine lines. Additionally, these acids neutralize free radicals, slowing the aging process and refreshing the skin. Vitamin A acts as an antioxidant to neutralize harmful elements in our skin, helping to prevent wrinkles, resist infection and keep your skin youthful! It also slows down the effects of aging, as manifested in your skin, and helps prevent both dryness and brown spots on your skin. Vitamin B12 , also found in goat milk, is essential for a variety of synthetic processes in the cells, including skin cells, and an absence of it can be detrimental for skin health. Vitamin E is another of the vitamins contained in goat milk that protects skin cells from free radical damage (in other words, keeps them from aging). Consider another component of goat milk, zinc. Zinc is an essential mineral that is a component of more than thirty enzymes. Zinc contributes to the reconstruction of collagen fibers, resulting in firmer, smoother skin (collagen fibers are responsible for your skin’s strength and elasticity, and its degradation leads to wrinkles that accompany aging). Zinc also encourages moisture retention and assists in maintaining your skin’s elasticity. Is the value of goat milk as a wonderful, natural skin-care product beginning to make more sense? Longview Farms uses fresh Nubian goat’s milk from our farm which boasts the highest fat content, giving our soaps these long lasting restorative properties! Goat’s milk is a gift from our Creator that cannot be synthetically reproduced. -A truly natural skin pampering product. We think goat milk soap is THE BEST kind of soap we can use, and that’s why we use goat milk in our soap!